L9081, Korea "30th Anniv. 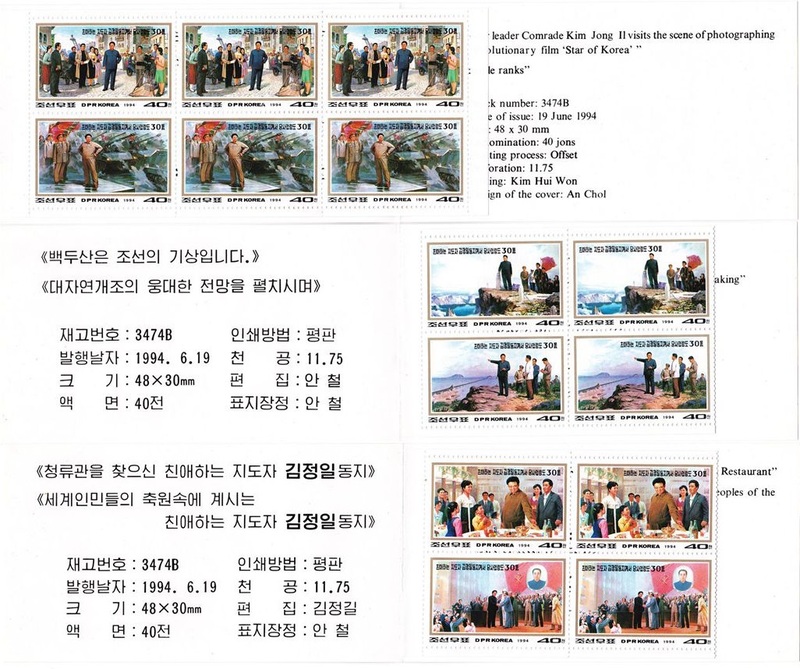 Kim Jong Il on Work" Stamp Booklet 3 Pcs, 1994. MNH. Issued by Korea in 1994. For 3 pcs stamp booklets, with 18 pcs stamps. 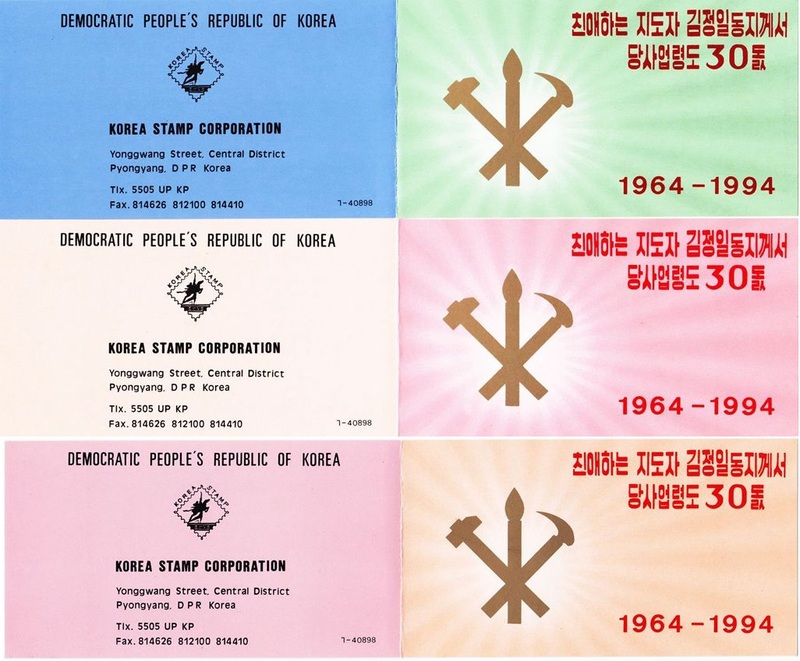 The full name of the stamp booklet is "30th Anniversary of the Leadership of the Great Leader Comrade Kim Jong Il on Party Work".